As any fan of professional sporting events can tell you, the volume of promotional merchandise has exploded in recent years. And when it comes to Major League Baseball, one company is responsible for supplying nearly that entire bonanza of product. BDA produces an estimated 6 million bobbleheads alone each year, based on licensing agreements with such major brands as Marvel, Star Wars and Hello Kitty. The flow ramps up sharply for marquee events such as the postseason playoffs, World Series and All-Star Game. More than a sideshow, these "bonus" items can play a key role in drawing crowds to the ballpark. It's not unusual to see thousands of fans lining up hours before a game to ensure against their walking away empty-handed. (And unable to flip the acquisitions on eBay.) BDA chief executive officer Jay Deutsch estimates that bobbleheads can produce an attendance spike of between 15 and 30 percent. 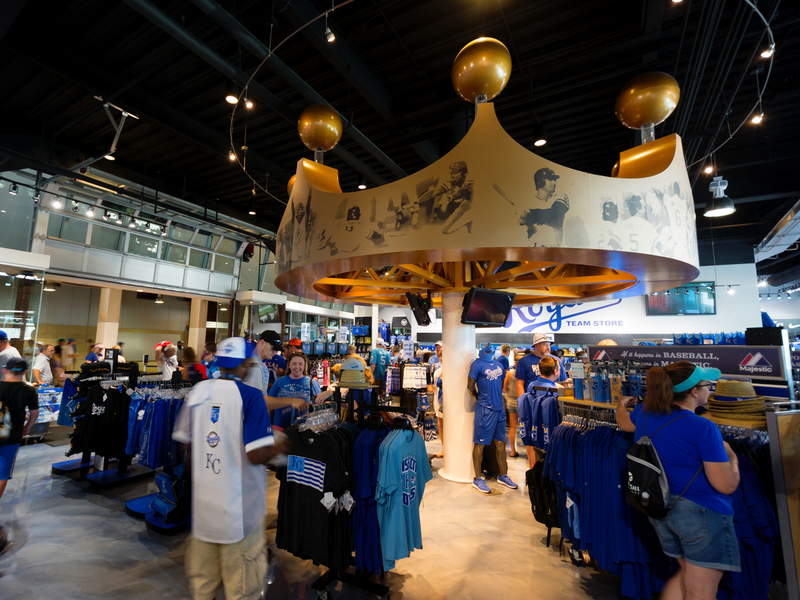 With giveaways heavily promoted and tied to specific games or events, the system for getting merchandise to the ballpark has to operate like clockwork. Stadiums have neither the space nor desire to stock huge inventories of product far in advance, so reliability of supply is essential. BDA handles everything from design to delivery. In the early days, a typical bobblehead would consist of a standard pose of a player, based on a limited series of templates. Artwork would be sent to the factory for sculpting, accompanied by team uniform specs and the names of the player and promotion sponsor. The last 15 years have seen the introduction of more dramatic and customized poses, according to BDA creative director Dan Mumma. A bobblehead today might depict an outfielder straining for a catch at the wall. BDA might even reenact the pose with one of its employees acting as the model for sculpting, as well as draw on photos showing the player from multiple angles. Because most production takes place overseas, the ordering and creation of a bobblehead will typically commence four to six months in advance of the giveaway date. Actual delivery, though, takes place within a much shorter time span. Post-season victors often aren't known until days before the game, so certain shirts and rally towels must be produced locally overnight, and delivered by the tens of thousands to the stadium within hours of their distribution to fans. BDA's import team, domiciled at company headquarters in Woodinville, Wash., works closely with remote staff and factories in China to ensure quality control and the smooth flow of product. "It's a fairly streamlined system," says Mumma. "We truly have a partnership." Logistics manager Jay Fox is responsible for getting items to destination on time and in pristine condition. With so many departments and individuals involved in every move, he has worked hard to simplify the process. At the time a purchase order is created, it gets sent both to the factory as well as to Expeditors International, which performs order management and customs brokerage. Expeditors provides online visibility to the imported goods, keyed to "ship-by" dates dictated by BDA. BDA processes approximately 1,500 import orders each year. In-house staff used to touch every single one, to ensure adherence to the schedule. Now, with the help of just one individual in China acting as shipping lead, and Expeditors overseeing the P.O.s, BDA can manage by exception. It's alerted when a supplier is in danger of missing a shipment, so that it can take remedial action. Much of the time, factories are required to confirm bookings aboard ship 14 days in advance, although that period can stretch to 21 days during peak shipping season, when vessel space is at a premium. That has especially been the case in 2018, notes Fox, with shippers moving up bookings from Asia to get ahead of threatened import tariffs. Expeditors provides the booking tool, based on a routing guide supplied by BDA. For ocean freight, the shipper relies primarily on three carriers: CMA CGM, "K" Line and Matson. "The goal is to get that ocean container to the U.S. with the carrier that's going to arrive first," says Fox. Final delivery is almost always keyed to a specific date, with minimal variance. The exact particulars differ from team to team; some want to receive the goods only when they're at home, others while they're on the road. Certain teams insist on game-day delivery, "which is really stressful." While nothing sits around for long, BDA maintains distribution centers in Woodinville and Plainfield, Ind., as well as contracting for third-party warehouse space in Los Angeles, for product awaiting final distribution. For the most part, BDA books directly with truckers for the over-the-road portion of a move. Favored carriers include CRST for full truckload, and FedEx Freight for less-than-truckload. The company strives for long-term relationships with carriers of all modes, which become invaluable during capacity shortages. "In the end," says Fox, "they end up doing a lot more for you." One of BDA's key software partners is Causometrix, a provider of predictive analytics for the supply chain. Its cloud-based platform offers demand planning and forecasting, sales and operations planning (S&OP) capabilities, and trade-promotions planning. Causometrix signed up with BDA in 2017, and went live with its platform in June of this year. The forecasting tool is based largely on "out-of-the-box" planning processes, which can be expanded or tailored to the needs of the individual customer, according to founder and chief executive officer Jamsheed Iqbal. The old method of planning for a new product involved the inputting of huge amounts of data into Excel spreadsheets, keyed in manually. Vendors would receive the information and enter it into their own systems, going through the laborious process of cutting and pasting. "Imagine the nightmare of consolidating different spreadsheets into one and making sure that all the data lines up," says Iqbal. More spreadsheets come into the picture when the supply side has to convert the forecast into physical production. With Causometrix, that entire process is now automated. Having come up with a demand plan, the sales team no longer must also worry about fulfillment and replenishment, planning for which is handled automatically handled by the system. With all of the complexities involved in delivering product to teams, automation of systems is a must. "There are so many moving parts," says Fox. "It can be very complex." Original story published in SupplyChainBrain.